Fashion designer Cesar Gaupo died on Saturday, January 19, just after celebrating his birthday. He had just turned 72 on January 6th. Sources say he died in the morning after his birthday party with friends and names in the fashion industry in his sleep. Mr. Gaupo found his base in the 70's and worked alongside SM (whose founder Henry Sy, Senior also died this week) for Ready-to-Wear (RTW) lines. In the following decades, he continued on a high level, but without leaving his RTW work. In the early 2000s, Mr. Gaupo moved to Hong Kong to work as Creative Director of Shanghai Tang International Brand. Later, he moved back to the Philippines to engage in lifestyle and home design. His field of expertise knows no bounds: Mr. Gaupo designed not only separate dresses and cocktail dresses, but also evening dresses, and his designs reflect a certain ease of flow and movement. He also designed shoes, and his heavy-heeled high heels were apparently a model for comfort. His designs in various disciplines are woven from a common thread: an ingenious use of color and a disciplined elegance. The fashion world mourns him, as a Facebook post by designer Rajo Laurel would testify: "They are a rare fashion in fashion. They are forever relevant and forever loved. Rest in peace my friend." Couturier Michael Cinco wrote: "I always admire his work and his great talent. For me he is one of the best filipino designers who made Filipinos proud when he became chief designer of international label Shanghai Tang. He is a very modest and simple person. 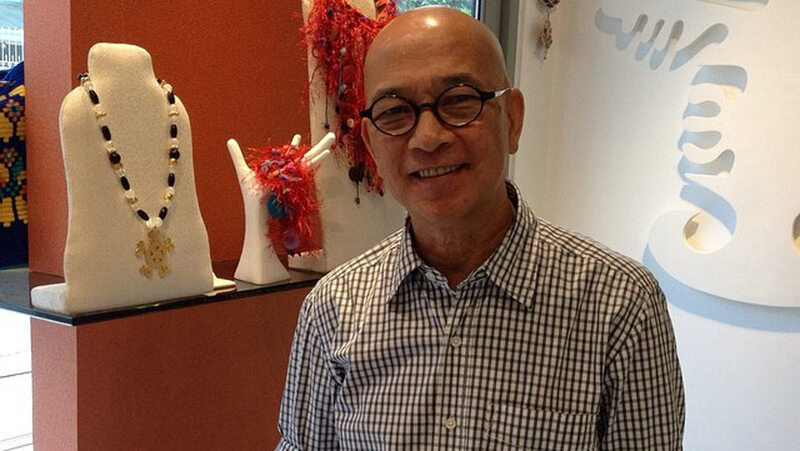 His sudden death is a big loss for the fashion industry ... Rest in Peace ... "
Myrza Sison, editor-in-chief of the magazine, wrote: "They have always been a source of joy. Thanks and farewell, Cesar Gaupo. "